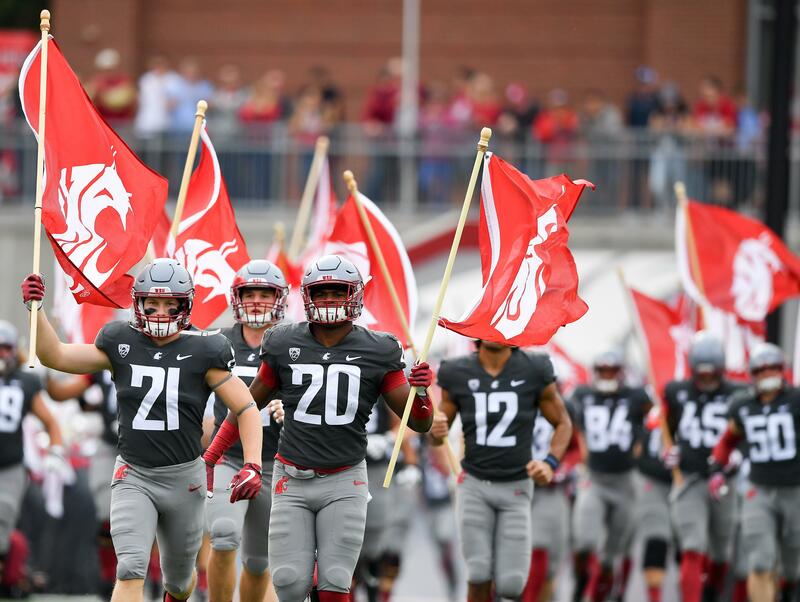 PULLMAN – Dylan Mayginnes, a high school offensive lineman with a close tie to the Washington State football program, committed to the Cougars Thursday morning. Mayginnes is a 6-foot-5, 285-pound offensive guard from Hamilton High in Chandler, Arizona. He’s the younger brother of current WSU O-lineman Hunter Mayginnes, who’s been the Cougars’ second-team right tackle this spring. While he doesn’t list any other college offers, Dylan Mayginnes, a three-star prospect according to 247Sports, has attracted interest from Arizona, Arizona State, California and Boise State. Mayginnes is the third player to commit to the Cougars in the class of 2020, and the second offensive lineman after Lake Stevens guard Devin Kylany pledged to WSU last week. Running back Jyden King of Calabasas, California, is the other commit. Mayginnes also throws the shot put and discus for Hamilton’s track and field team. Hunter Mayginnes is a redshirt freshman preferred walk-on for the Cougars who didn’t appear in a game last season. He has emerged as the primary backup to starting right tackle Abraham Lucas during spring camp. Published: April 11, 2019, 10:37 a.m. Updated: April 11, 2019, 8:34 p.m.